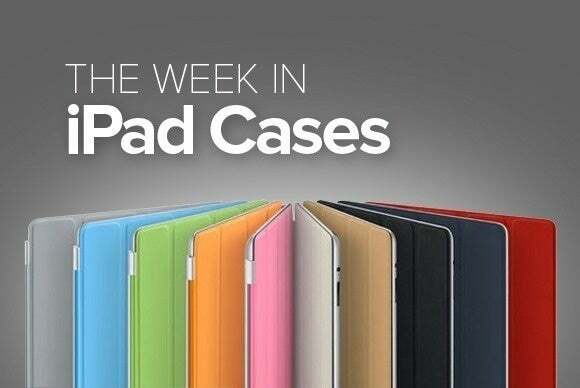 This week’s roundup of new iPad cases is chock full of options, from carry-all backpacks to simple yet effective sleeves. The Icon Sleeve (iPad Air; $60) offers lightweight, durable protection in a slim package that won't weigh your iPad down. 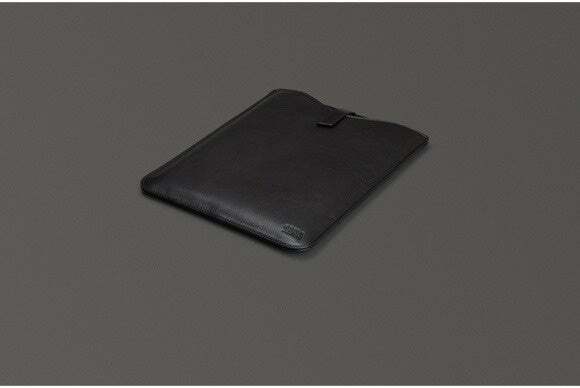 This neoprene-based sleeve includes a closure designed specifically to shield your iPad from occasional bumps and drops. The Icon Sleeve fits snugly in your bag or purse, and provides a nice addition to your list of accessories, thanks to two lively color combinations to choose from: gray with lumen or black with slate. The Gravity Agent 6 Sling (all iPad models; $40) features a rubber-reinforced nylon compartment for your iPad, and also sports a dedicated iPhone slot. 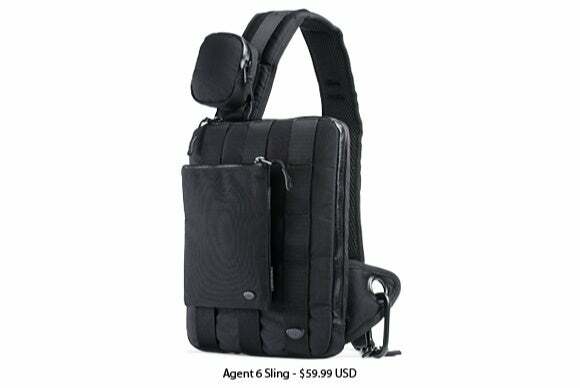 Available in black or military green, the Agent 6 Sling includes detachable pockets for extra storage and a cross-body strap that lets you carry it hands-free when you are walking, biking, or running to catch the bus. 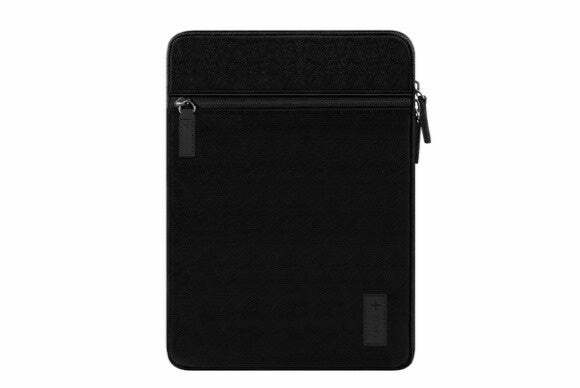 The Leather Case (iPad Air 2; $91) sports an elegant but simple design that protects your iPad from all sides. 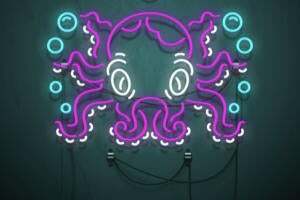 The case provides precise cutouts to access your camera, buttons, Lightning port, and microphone. 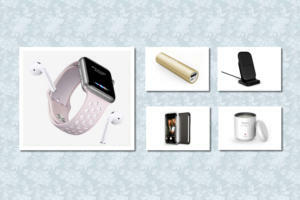 It's compatible with the iPad's magnetic sleep/wake feature, and you have twelve vibrant solid colors to choose from. The Leather Case turns into a stand in landscape orientation anytime you want to kick back, relax, and watch a video or catch up on your reading list. 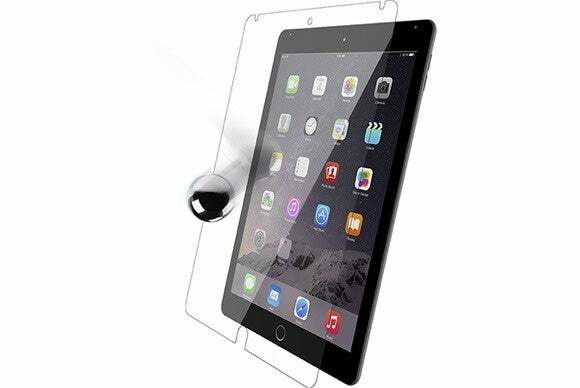 The Alpha Glass (iPad Air 2; $50) is a screen protector made from glass, built using a special anti-shatter technology. Slim and barely visible, the Alpha Glass prevents scratches and smudges without compromising your iPad’s touchscreen functionality, and comes with an installation toolkit that makes it easy to place in a jiffy. The HardBack (iPad 2, third- and fourth-generation iPad, iPad Air and Air 2; $45) is a book-style folio that's actually frameless: the case uses a strong residue-free adhesive to keep your iPad in place that is surprisingly simple to remove. Handcrafted in the U.S., the case is compatible with your iPad’s magnetic sleep/wake feature, and comes in a variety of color combinations for a truly personalized experience. To make sure the case's cover doesn’t open by accident, the HardBack sports an elastic band to keep it tightly closed. 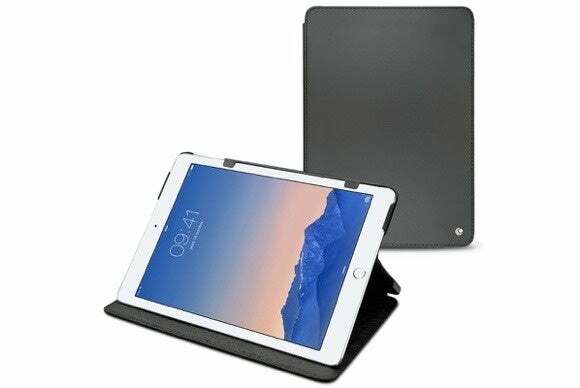 The Kontur Sleeve (iPad Air and Air 2; $52) is a snug leather sleeve that can accomodate your iPad with or without an Apple Smart Cover in place. The sleeve features a magnetic closure tab for added safety and a microsuede lining that helps deflect scratches and smudges from your screen. The Kontur makes for a simple, but elegant carrying solution, and comes in black, tan, red, or taupe. The Coated 2 Backpack (all iPad models; $80) comes with a veritable smorgasbord of pockets where you can stash all your electronics—including, of course, your iPad. 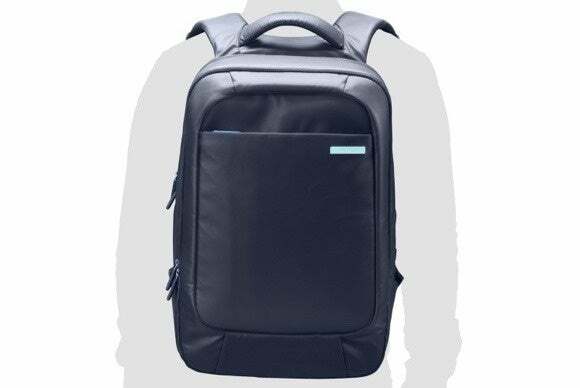 This water-resistant backpack sports three bigger compartments for your laptop, iPad, and other larger items; a side pocket for quick access; and smaller storage spaces for your mouse, charging cables, and other accessories. For extra peace of mind, it’s also lined with synthetic fur to provide additional padding. 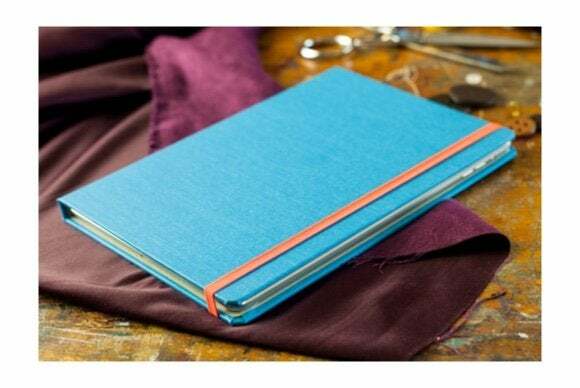 The Contra (iPad Air; $45) is a fashionable denim sleeve with soft interior lining and a zippered closure that keeps your iPad safe when you’re not using it. The Contra includes an external pocket—also zippered—for your charger, earbuds, and other accessories. If you like vibrant colors, you can customize its interior and exterior by picking a variety of patterns. The Muzetto Outback (all iPad models; $149 to $189) is a multifunctional bag that holds your iPad, wallet, and accessories. 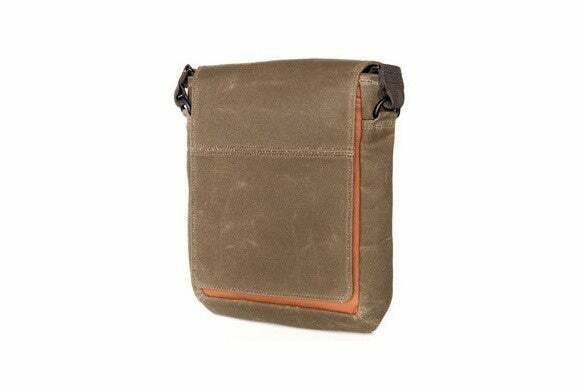 Made of tan, waxed cotton canvas, the Muzetto Outback includes two external pockets where you can quickly stash your favorite magazine, a padded shoulder strap for a comfortable fit, and a zippered internal pocket that keeps your valuables secure. To put your mind at ease, the Muzetto comes with a sizeable flap that covers the exterior and protects its contents from wind and water.